The wine culture is a trend all around the world. Enjoy all the flavour of a glass of good wine with this Bottle wine gift set (5 pieces) in the shape of a bottle. 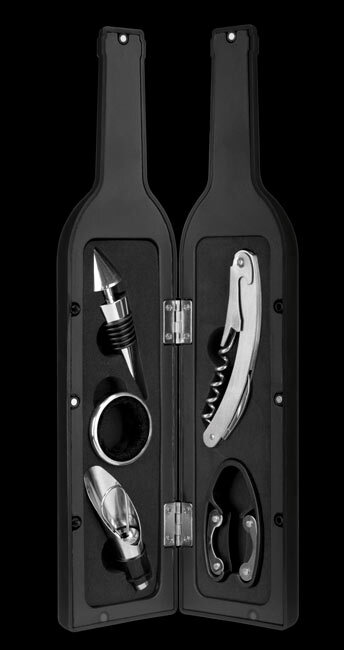 All oenologists will love it as this case with wine accessories has an interesting unique design since it comes in the shape of a bottle. Its format is designed to help you keep your accessories organised and you can hold it in a wine rack or exhibit it in the living room/kitchen!